Little speedy review for you here. This is an ace little ‘lazy girl’ quick-fix mask. A gel format hydrating mask it’s one that you apply generously all over your face and then SLEEP with it on. Oh yes people, living the dream. A beauty routine that works whilst you snooze. This mask arrived in a great little Lancome pouch filled with a few specific to Summer treats and this was one of the first to catch my eye. I love a gel texture and I love anything hydrating as I do tend to be permanently dehydrated… so any little helps. This is a small 50ml size but it’s available in larger 100ml size too. It was great on holiday as sort of ticked the box of aftersun plus night cream all in one as it hydrated at the same time as feeling cooling and refreshing. It’s not really the type of mask you can expect wonders of anti-aging and skin transforming powers but if you need a heft dose of hydration and fast then this is one to go for. Lovely texture and great plumping powers. The formula features Moringa Seed Extract, Rose Extract and Peony Root Extract. It also contains salicylic acid to help shed those dead skin cells and overall offer a bit more brightening and fresher skin texture. Overall it’s a great mask if you feel like you’ve maybe been burning the candle at both ends and your skin needs a bit of an all around boost of brightness and hydration. 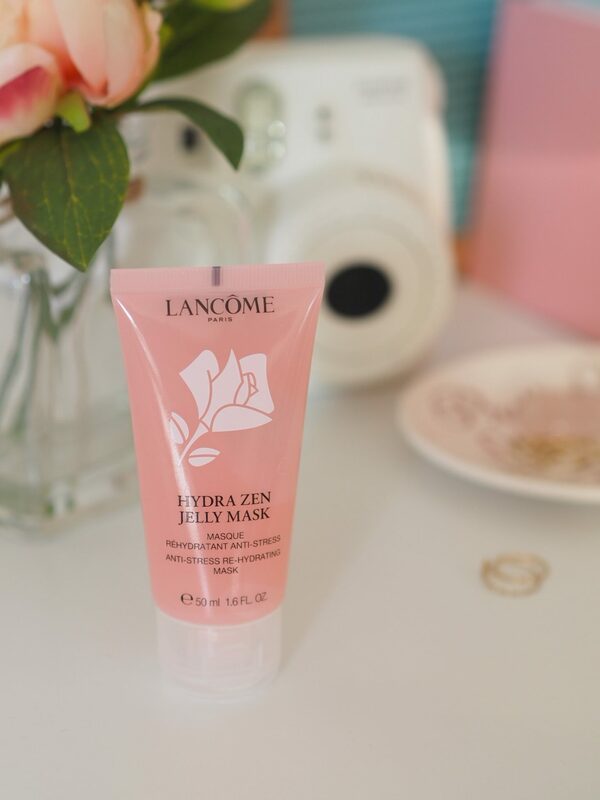 There’s a speedy little review of the Lancome Hydra Zen Jelly Mask for you! Can’t resist anything with “jelly” in the title. Love that this one contains salicylic acid for declogging pores. This sounds amazing, and anything with Jelly in the title always catches my attention!